MADISON, Wisconsin — Newly declassified documents show the FBI kept close tabs on Soviet dictator Josef Stalin's only daughter after her high-profile defection to the United States in 1967, gathering details from informants about how her arrival was affecting international relations. 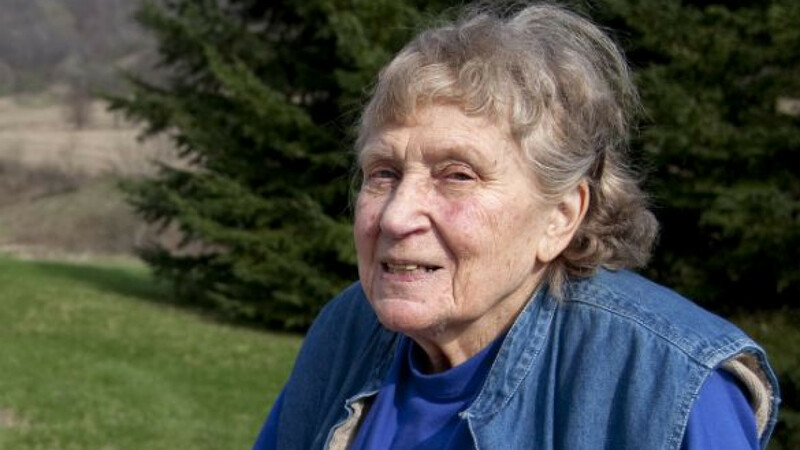 The documents were released Monday to The Associated Press under the Freedom of Information Act following Lana Peters' death last year at age 85 in a Wisconsin nursing home. Her defection during the Cold War embarrassed the ruling Communists and made her a best-selling author. Her move was also a public relations coup for the U.S. When she defected, Peters was known as Svetlana Alliluyeva, but she went by Lana Peters following her 1970 marriage to William Wesley Peters, an apprentice of Frank Lloyd Wright. Peters said her defection was partly motivated by the Soviet authorities' poor treatment of her late husband, Brijesh Singh, a prominent figure in the Indian Communist Party. George Kennan, a key figure in the Cold War and a former U.S. ambassador to the Soviet Union and Yugoslavia, advised the FBI that he and Alliluyeva were concerned Soviet agents would try to contact her, a December 1967 memo reveals. The memo notes that no security arrangements were made for Peters, and no other documents in the file indicate that the KGB ever tracked her down. One memo dated June 2, 1967, describes a conversation an unnamed FBI source had with Mikhail Trepykhalin, identified as the second secretary at the Soviet Embassy in Washington, D.C. The source said Trepykhalin told him the Soviets were "very unhappy over her defection" and asked whether the U.S. would use it "for propaganda purposes." Trepykhalin "was afraid forces in the U.S. would use her to destroy relationships between the U.S.S.R. and this country," the source told the FBI. An unnamed informant in another secret memo from that month said Soviet authorities were not disturbed by the defection because it would "further discredit Stalin's name and family." Stalin, who was held responsible for sending millions of his countrymen to their deaths in labor camps, led the Soviet Union from 1924 until his death in 1953. Stalin's successor, Nikita Khrushchev, denounced him three years later as a brutal despot. Even though Peters denounced communism and her father's policies, Stalin's legacy haunted her in the United States. "People say, 'Stalin's daughter, Stalin's daughter,' meaning I'm supposed to walk around with a rifle and shoot the Americans," she said in a 2007 interview for a documentary about her life. "Or they say, 'No, she came here. She is an American citizen.' That means I'm with a bomb against the others. No, I'm neither one. I'm somewhere in between." Many of the 233 pages released to the AP were heavily redacted, with the FBI citing exemptions allowed under the law for concerns related to foreign policy, revealing confidential sources and releasing medical or other information that is a "clearly unwarranted invasion of personal privacy." An additional 94 pages were found in her file but not released because the FBI said they contain information involving other government agencies. Those pages remain under government review. More than half of the pages released to AP were copies of newspaper articles and other media coverage of her defection. In one exchange, a person whose name was redacted wrote to then FBI director J. Edgar Hoover, asking that he forward a letter on to "Joe Stalin's daughter." "I believe, Svetlana has given us (FREE NATIONS) the greatest opportunity to enlighten (and educate) the RUSSIAN people (and also those within the Communist controlled nations), as to what they are losing in continuing their impossible, or unacceptable present governmental system of administration," the letter to Hoover said. The file contains Hoover's terse, three-sentence response denying this request, saying the FBI does not forward mail. "I trust you will understand," Hoover wrote.